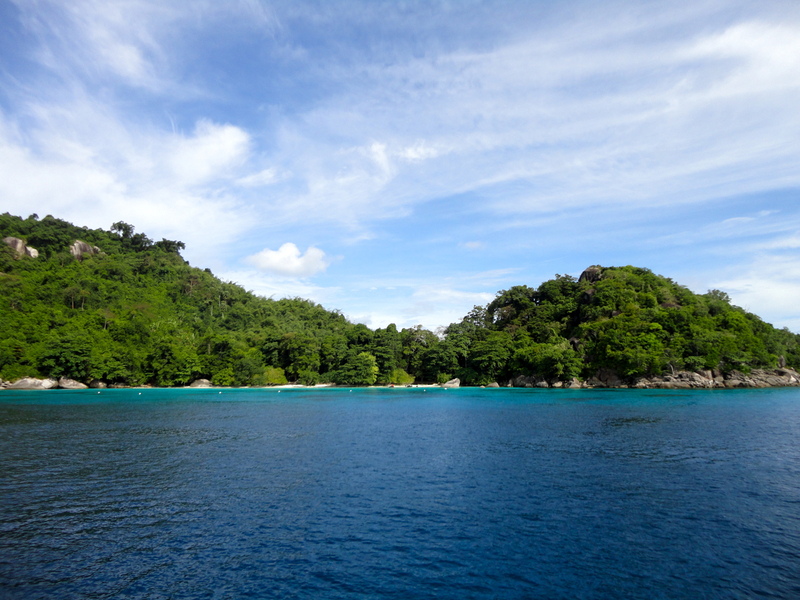 My first dive in the Similan Islands and the conditions were great – blue sky day, amazing visibility, calm waters. 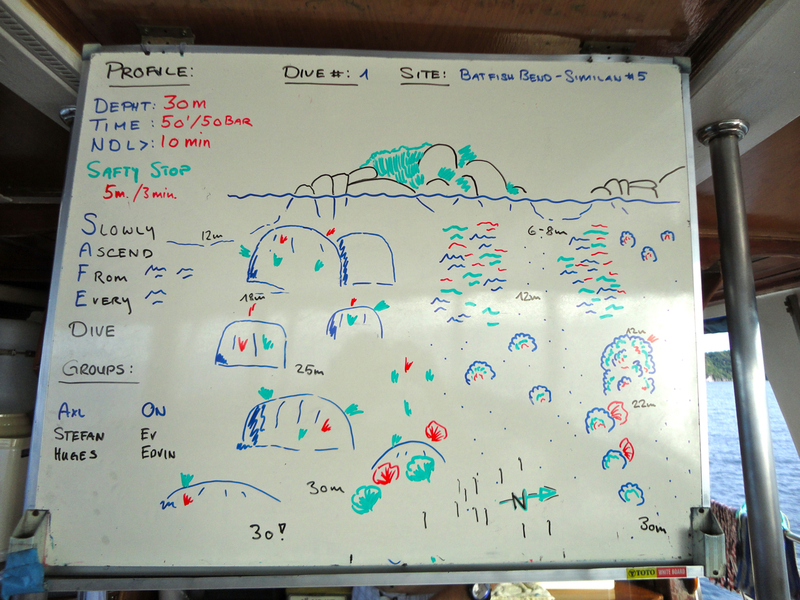 We descended into about 18 metres onto big boulders were there were lots of beautiful green tube corals. We swam further down to around 30 metres and then made our way across some sand to a whole lot of coral bommies, including one huge one that was around 8 metres high and just absolutely covered in soft corals and small fan corals. Absolutely amazing. Towards the end, Edwin surfaced with the dive guide, On, as he was low on air, so I finished the dive with the other dive group. I saw some spotted garden eels, western clownfish including one patch of anemone that had two little cute white porcelain crabs as well, a couple of Kuhl’s spotted rays, lionfish hiding under a small bommie, moorish idols, porcupine fish, a few parrotfish, schools of yellowback fusiliers, various kinds of butterflyfish, damselfish, and groupers.